Redolent of everything sensual and hedonistic, chocolate is synonymous with our idea of indulgence. It is adored around the world and has been since the Spanish first encountered cocoa beans in South America in the sixteenth century. 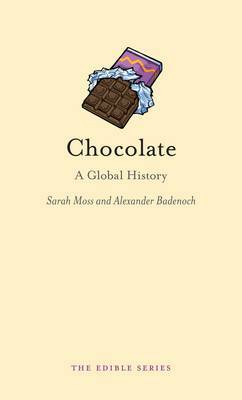 It is seen as magical, exotic, addictive and powerful beyond anything that can be explained by its ingredients, and in "Chocolate" Sarah Moss and Alexander Badenoch explore the origins and growth of this almost universal obsession. Moss and Badenoch recount the history of chocolate, which from ancient times has been associated with sexuality, sin, blood and sacrifice. The first Spanish accounts claim that the Aztecs and Mayans used chocolate as a substitute for blood in sacrificial rituals and as a currency to replace gold. In 1753, Linnaeus gave the cocoa tree the official classification Theobroma cacao, or the food of the gods. In the eighteenth century, chocolate became regarded as an aphrodisiac the first step on the road to today's boxes of Valentine delights. "Chocolate" also looks at the production of chocolate, from artisanal chocolatiers to the brands such as Hershey's, Lindt and Cadbury that dominate our supermarket shelves, and explores its associations with slavery and globalization. Packed with tempting images and decadent descriptions of chocolate throughout the ages, "Chocolate" will be as irresistible as the tasty treats it describes.